Wild Orange is one of the best selling oils from doTERRA, and I can see why! Boasting many health benefits, and an amazingly sweet scent, I use this essential oil frequently in my home with my family. doTERRA’s Wild Orange essential oil has stimulating and purifying qualities, making it a great support to a healthy immune system. It contains some really powerful antioxidants to help maintain your overall health and wellbeing. With this energising scent, the Wild Orange essential oil can really uplift the mind and body. 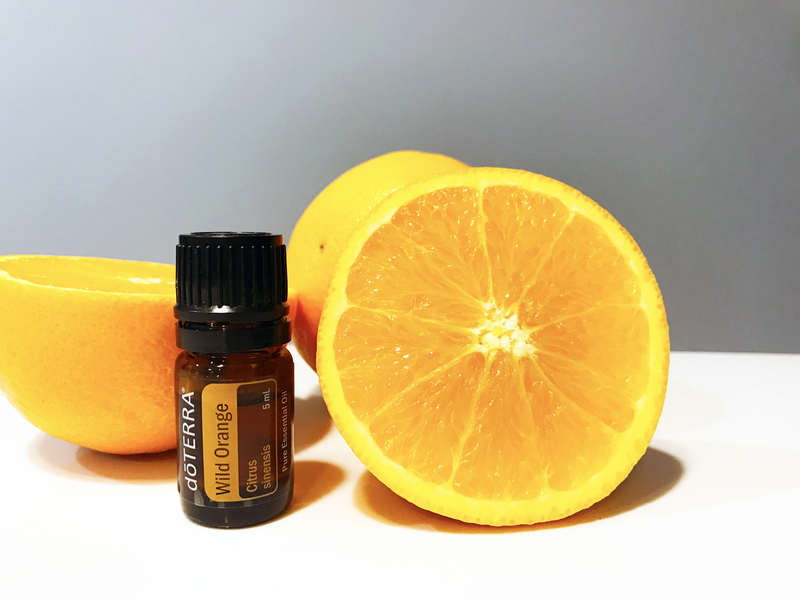 How Do I Use doTERRA’s Wild Orange Essential Oil? Wild Orange and Chocolate Bliss Balls: If you want to treat yourself, then these Wild Orange & Chocolate Bliss Balls are for you. A yummy treat packed with nutrients and wholefoods! Cleaning Surfaces: Dilute 5-10 drops in water to create a multi-purpose cleaning spray to cleanse and purify household surfaces in your home. Diffuse to Lift Mood & Energy: Add 3-4 drops into your diffuser to enjoy this refreshing scent that will help uplift the mood and energy of the whole family at home! Energising Boost: Rub 1 drop into your palms and inhale deeply for a quick energising boost. Remove Sticky Residue: This essential oil is great to remove sticky residue from glass jars. Allow it to absorb for a few moments and then wipe clean! Natural Wood Polish: Mix a few drops with Olive Oil for a natural alternative to wood polish and get those floors and home gleaming! Unsure where to start with essential oils? Have a read of my Introduction to Essential Oils eBook. Note: Citrus oils such as Wild Orange can cause a photosensitivity when used topically, so it is advised to not go out in direct sunlight for 12 hrs after applying to your skin.